I first edited Wikibooks on 10 September 2003. Most of my edits here are moving articles from the English Wikipedia via the transwiki system, especially recipes which I believe better fit the Wikimedia Cookbook than the encyclopedia. As a former developer of student assessments, I am interested in the Wikiversity project. I am also interested in collaborating with related projects. 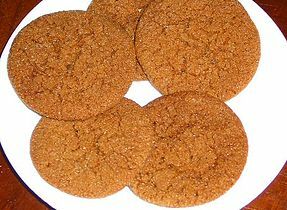 Chewy Ginger Cookies are soft and delicately flavored. The Wikimedia Foundation is a non-profit organization that depends on donations to operate. If you find Wikibooks or other projects hosted by the Wikimedia Foundation useful, please consider making a donation. Donations are used primarily for purchasing server equipment and launching new projects. This page was last edited on 8 December 2010, at 15:05.